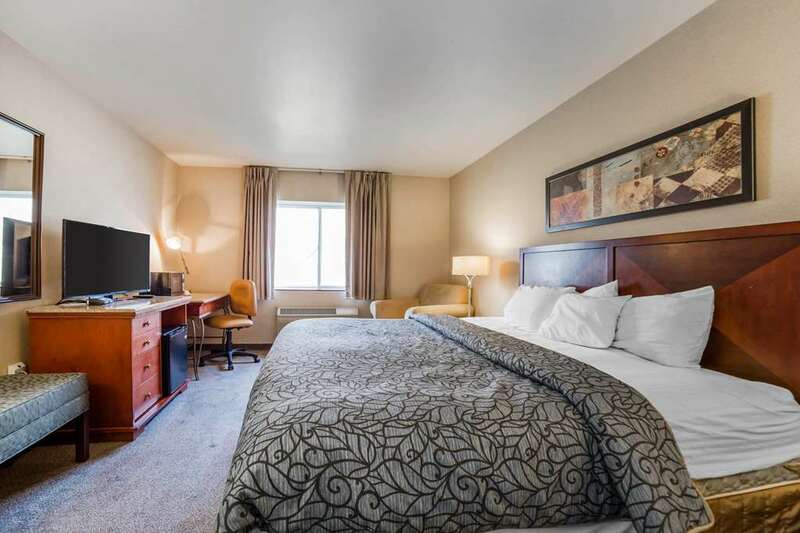 When all you need is a solid deal on a simple stay, the Rodeway Inn and Suites hotel in Nampa, ID is just what you are looking for. We help corporate and leisure travelers focus on experiences and not spending, with amenities like access to a computer with Internet, plus copy and fax machines, as well as free WiFi, free continental breakfast, an outdoor pool and guest laundry facilities. Enjoy the scenic wine country nearby. Then, settle in to your inviting guest room, which features a refrigerator, hair dryer, iron, ironing board, pillow-top mattress and TV. Some rooms include microwaves and coffee makers, too. Also, earn rewards including free nights and gift cards with our Choice Privileges Rewards program. Pet accommodation 10.00 per night per pet. Pet limit 2 pets per room. Refundable 25.00 deposit if paying in cash.